We had some friends over on the 4th of July yesterday, and I barbecued some marinated pork tenderloin. But I’ve been wanting to try something special for a side dish. There’s a restaurant called the Union Woodshop in Clarkston, Michigan that serves fantastic barbeque. there’s often several hour waits for a table there– even at 5 pm on a weekday. This place rocks. Along with your main choice of pulled pork, ribs or beef brisket you get two sides– and one of the side options is their legendary mac & cheese. An episode of “Diners, Drive-Ins and Dives” on the Food Network had Kid Rock taking host Guy Fieri to one of his favorite restaurants, the Clarkston Union, which has the same owners as the Union Woodshop just down the street. That’s where the Clarkston Union mac and cheese was created, and Kid Rock’s favorite, most mackinest mac and cheese, was the featured item in this episode. I’m planning to have a barbeque later this summer where I want to reproduce the Union Woodshop menu as much as possible–with pulled pork, ribs, and a few sides like collard greens, slow-cooked smoky beans… and the mac and cheese. So our friends who came over were guinea pigs for my first mac and cheese trial effort– and they weren’t disappointed. I searched online to see if anyone had tried to reproduce the Clarkston Union recipe, and my recipe is a combo of the few I found. 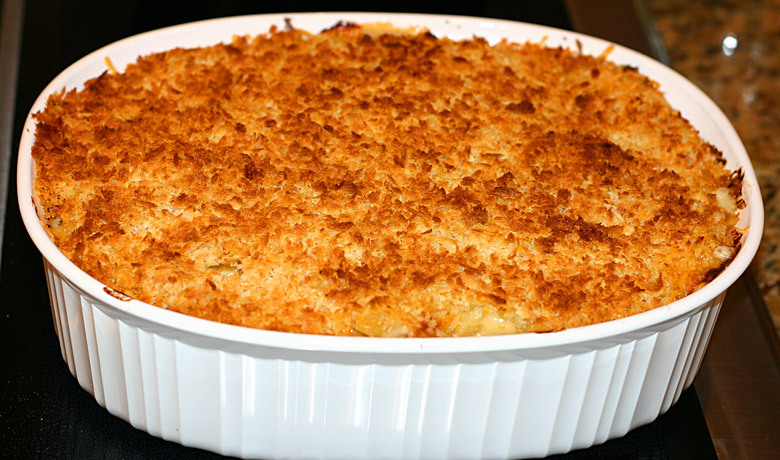 I leaned most heavily on this guy’s recipe, so I give him props: Triple D in the ‘D’ Most Macked Mac & Cheese! 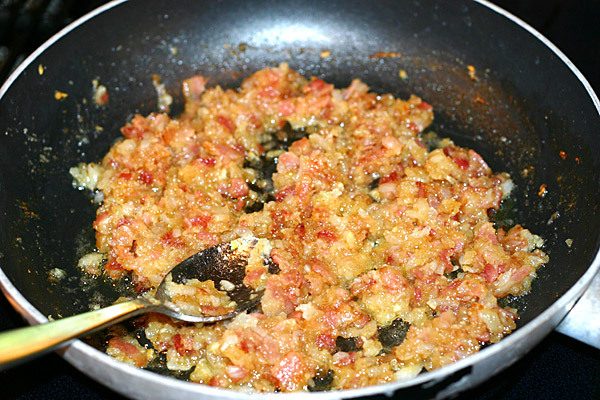 I changed a few things– I added finely chopped bacon, and I used a little different mix of cheeses than the recipes I found online and in the video of the Kid Rock episode of Diners Drive-Ins and Dives. The bacon was just my effort to really knock my mac and cheese out of the park. The reason I used a couple different cheeses was mostly due to availability, but in future mac and cheese experiments I’d like to try out more different types of cheese. One last note– I was a little surprised to see the nutmeg in the recipe list. It seemed like an odd ingredient for mac and cheese. But it really makes a difference– it’s the secret ingredient that really makes it special (other than the massive quantities of cheese and heavy cream). So don’t leave the nutmeg out if you find it to be an odd ingredient like I did at first. It works! Of course, this doesn’t have to be a side dish- it could easily stand out on its own as a main dish. And our kids, who are 7 and 10 and believe that the stuff that comes out of the box with the neon orange powder is the pinnacle of great mac and cheese making, actually really liked this. That was the best endorsement of all. Not a heart-healthy dish by any means, but once in a while, hey, ya gotta live a little. Boil the penne pasta until al dente– make sure not to overcook, since it’s going to bake more in the oven. Drain and set aside to cool. I mixed the pasta up with a little olive oil so it wouldn’t stick together. 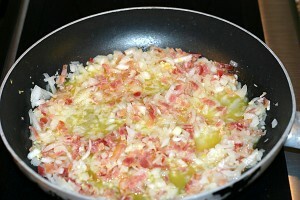 Add the chopped onions, crushed garlic, bacon and butter to a pan and cook on medium heat until the onions are turning translucent. 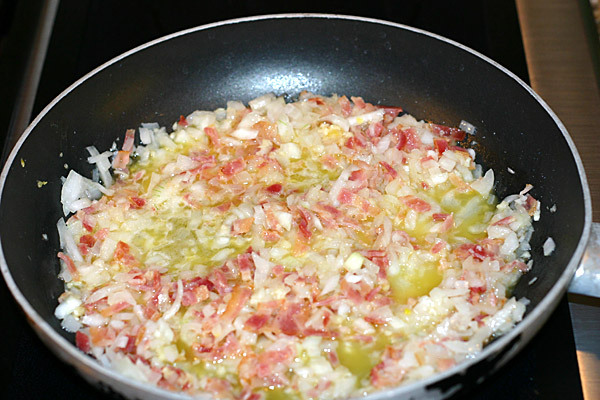 TIP: if you don’t like to do a lot of chopping, you could run the onions, garlic and bacon in a food processor to get them diced up nice and small. Just don’t go too overboard and puree everything. Now add the flour a little at a time while constantly stirring, to make a roux. Who woulda thought that good old-fashioned down-home mac and cheese has origins in fine French Cuisine? Keep stirring until the roux is the color of peanut butter. 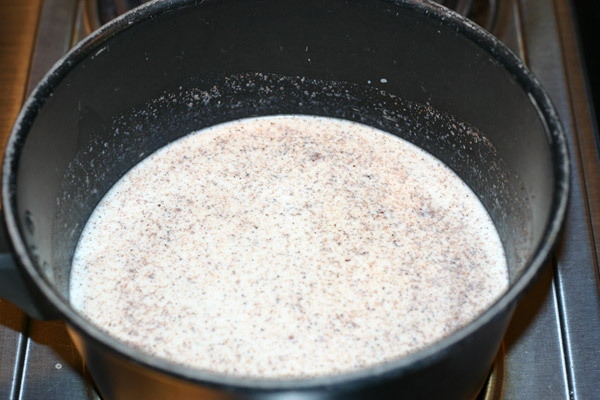 While the roux is cooking, add two cups milk and one cup of the cream to a separate pot with the nutmeg, salt and pepper, and heat on low to medium heat, stirring regularly, until warm. When the roux is ready, add the warm milk/cream mixture to the pan and mix thoroughly. Stir until the mixture just starts to simmer and thickens up. Add the two cups of shredded parmesan a little at a time. I was a little low on parm, so I made two cups worth with 2/3 parm and 1/3 shredded sharp cheddar. Let the roux/milk/cream/cheese mix cool. Since this mix and the pasta need to cool down, this is good to make ahead of time so it’s quicker to put together and throw in the oven just before dinner. Next, mix the roux/milk/cream/cheese mix with the pasta. 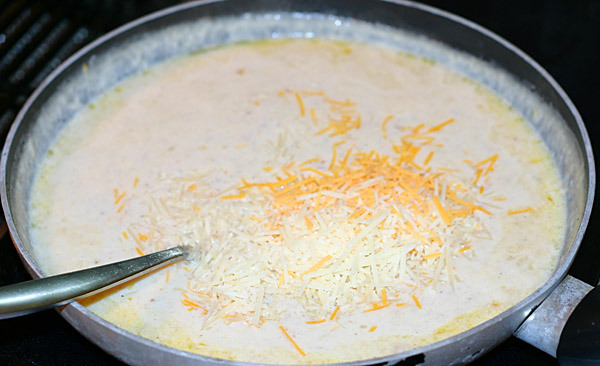 The milk/cheese mix will be very thick at this point after cooling, so the best way to mix with the pasta is with your hands. Add some of the remaining cup of heavy cream to help thin the milk/cheese mix a little and help get everything mixed together. Now add the first half of the pasta/cheese mix in a baking dish. I used a porcelain dish that was approximately 8″ x 10″ x 3″ deep, and the amount of this recipe just happened to fit perfectly. After the first layer is in, add the slices of extra-sharp cheddar on top (the Clarkston Union video showed the chef using slices of Pinconning, so you can use that if you can find it). Then layer the rest of the pasta/cheese mix on top, cover with shredded yellow cheddar (once again, the restaurant used shredded white cheddar here), and finally a layer of panko crumbs on top. Bake in a 425 degree oven for 20-30 minutes (the chef on the DDD episode recommended 425 at 12 minutes, but he was cooking in a small single-serving size dish. I found that after 20 minutes the mac wasn’t hot enough in the center). I saw in the postings I found for this recipe, and a few people who posted replies who tried this recipe, that the cooking temp and time specified in the episode did not result in a real nice brown crispy breadcrumb crust for them. That crunchy browned top is important to the recipe; it contrasts nicely with the creamy cheesy underneath. They recommended maybe cooking longer at a slightly lower temp like 400, and then forming the brown crust using your oven’s broiler setting. I had a nice brown crust form at 425 without the need of the broiler, maybe because I left it in a little longer. But if your mac isn’t browned enough on top, try the broiler trick to finish it. Enjoy! Recipe sounds good! Please send me a copy. Glad to hear from someone else who’s been to the Union Woodshop! How’d it turn out, Audrey– was it close to the Woodshop mac & cheese? Made this last night and it was EXCELLENT!! Everyone loved it. I used Hoop Cheese for the middle layer. I stuck with the white cheddar on top – just to stick with a “different” look — as most mac & cheese is the yellow cheddar. Thanks for your efforts!! I have another clip for cheese fritters if you want to try and reconstruct them from the DDD episode!! Hi Bob! Sorry I didn’t approve your post earlier– I overlooked it among the spam comments. Glad to hear it turned out well. I’m not familiar with Hoop Cheese– I’ll have to look that up! Just wanted to let you know – this was PERFECT! 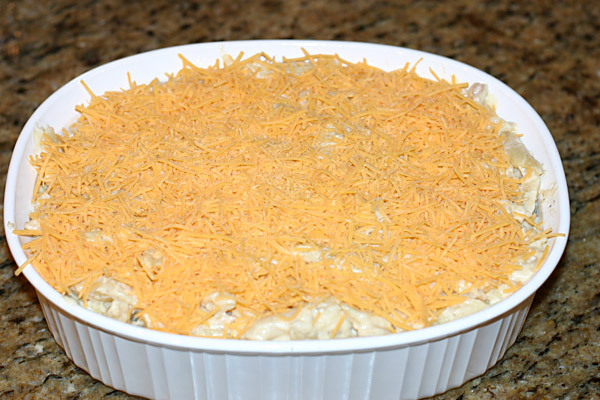 I made this for our Christmas dinner and EVERYONE said the same thing – “Did you get this at the Union?” – we are all from Michigan and frequent the Union for their Mac N’ Cheese. You rock! Thanks for this – it is a keeper for all time! Great to hear Amy! Glad it worked out for you. Thanks for the comment, and Happy New Year! Thanks for the props! I’m glad you liked the recipe and have expounded upon it. Ironically, I just made the original for the family as part of Christmas celebrations (along with pulled pork). It was my best batch yet. I came across your recipe when another friend of mine posted it on Facebook. Nice to hear from you Pat! Sounds like we like the same food. I made the mac & cheese and pulled pork for a family birthday party in early November, and I also tried making some turnip greens for the first time (I’m gradually trying to recreate the full Woodshop menu . Thought the greens would be easy, but my first try was so-so. My sister, who’s a Woodshop veteran, said I nailed the pork and Mac & cheese but my greens still need work, Maybe next time. Check back and one day I’ll have a greens recipe up! I used to go to The Union a lot as they have a very unique menu. And the Mac and Cheese is great ! I think I’m going to put king crab or lobster in mine, I had it at the union it was awesome!! Hey, lobster mac & cheese– that sounds good! I wonder if you’d want to go with a different mix of cheeses though– the sharp cheddar and pinconning might be too much for the lobster. If you make it with lobster or crab Tammy, write back and let me know how it turns out! I’ve been experimenting with Mac n Cheese and discovered that putting it on a charcoal grill using indirect heat gives an amazing result. It picks up that smoky flavor that you don’t get in the oven. You could do it on a gas grill using wood chips to get the smoke. 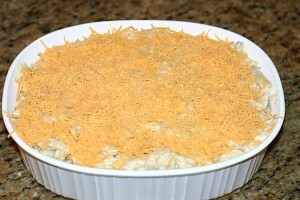 Barbequed mac & cheese– brilliant! I like trying to make every part of a BBQ meal outdoors, sides and all, but didn’t consider it with the mac & cheese– I gotta try that. Thanks for the tip! Hi there! My dad and I are trying this recipe right now. I live in Fenton, where the Union just opened a new place, The Fenton Fire Hall and we just fell in love with their mac and cheese! We also made a separate one with blue cheese and swiss with caramelized onions on top…you must try it! Thanks so much for posting! Hi Kates, nice to hear from you. Blue cheese and swiss with carmelized onions…sounds interesting- I might just try that sometime! I made this a few times before we actually made it to the Woodshop, and I have to say I’m impressed at how close it is. I think I even like your recipe a bit better! I like how easy it is to make, too, and how it gives some emphasis to local ingredients. It’s always a big hit when we make it, from old to young. Hey Jessika, thanks for the nice compliment! Yeah, speaking of local ingredients, I mentioned Pinconning cheese in the recipe, the only cheese as far as I know named after a Michigan town. I couldn’t find it when I made the recipe for this post, but the last few times I’ve made it I found an extra-sharp Pinconning from a Michigan farm that our local grocery store carries. It’s excellent and works great in this recipe! We stopped in Pinconning today to pick up the cheese. Can’t wait to try this! Union Mac and Cheese is my favorite! Hi Janet, hope it turned out good!